Energy is part of our lives and in everything we do. 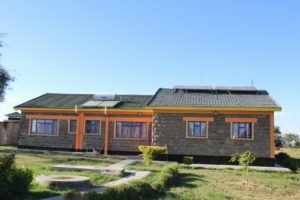 There are different sources of energy such as fossil fuels, oil, gas, petro, diesel, coal and hydro-electric energy which is mostly used in Kenya, we also have geothermal energy which is currently opening up in Kenya. Wind, solar and nuclear, biomass, wave and hydrogen energy are different sources of energy. All this have their pros and cons and due to the effects of the cons, the world is moving towards using cleaner sources of energy such as wind, solar and others whose by products are not detrimental to our health. Going forward, studies show that fossil fuels such as oil and gas will therefore be diminishing in production. One of the main sources of renewable energy is solar as it is very readily available and it’s made by having solar cells hit by a solar ray and the electrons are activated to create energy which is then transferred to produce power which is used in various ways. The main advantage of solar is that it’s readily available and very clean energy especially in our continent. With time solar has become cheaper and affordable, and with this reduction it has become more and more appreciated. In our day to day business operations, we provide solar solutions that are tailored to meet the specific need of our customer. One of our customers in Isinya had a need for pumping in his farm and also power his house, but the electric bill was too overwhelming for him, hence he needed a solar solution. The first solution we gave him was a solar pumping system which would give him over 30,000 litres of water to sustain his cattle and still be enough for his farm. This project was done in 2014 and was a one off cost which till today runs effectively. With the success of the solar pumping system, he also came back an year later he came to us for a solar lighting solution for his house to power his entire house which is very effective. He also got a solar water heating solution for him which makes his household fully reliable on solar energy. With all this, he runs on zero monthly costs of electricity, yet he enjoys the solutions offered by free energy, only incurring one initial investment cost. To bring this much closer, we look at two people who would like to run a pump for farming. Both pumps are 10HP/ 7.5kW. On one side is a farmer who wants to run his pump on generator. The other side has a farmer who wants to power is pump on solar. Scenario 1 (with 18.5kVA generator) costs approx. 1.5 Million. To run and maintain the 18.5kVA generator for 1 year, 8 hours a day, would cost 1Million per year. This could be more if we considered cost of transporting fuel, effects of adulterated fuel, theft of fuel by servants and many more issues associated with running a generator. The Solar option (scenario 2), costs an initial investment of approx. 2.5M, 1 million more than the generator system. Thereafter, there are no running costs. The return of investment is actually one year or even less!!!! We would therefore recommend anyone out there struggling with running costs, to choose the solar option for a cheaper and more reliable solution. Non-Renewable energy resources are about to finish in next decades. So its more beneficial to start using Solar Energy or any other renewable energy sources to save environment as well for better future of our next generation. How can I/my village community partner with you in provision of water and household solar lighting ? It’s great that people are using solar energy and contributing towards saving the environment. 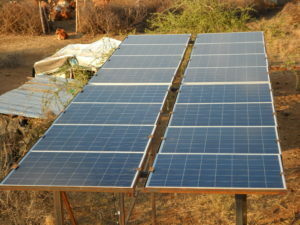 In developing countries community solar panels can be implemented where more number of houses can use the energy from the same solar panel which can save their money and they won’t find it costly as the cost of solar panels will be divided among the number of houses using it.